As we wrote yesterday, Team Colombia Coldeportes is having a training camp week in Torbole on Lake Garda. These are photos from the Punta Veleno climb they tackled yesterday that will be used for the first time in a professional race (Giro Del Trentino in April), its is rated one of the toughest climbs in Europe. The team is using Bianchi "Sempre" bikes. Stories for the Italian Cycling Journal about rides, granfondos, touring, having a good time cycling in Italy, Italian cycling history, etc. are always welcome. Contact me at veronaman@gmail.com. There are more than 2,300 stories in this blog. The search feature to the right works best for finding subjects in the blog. There is also a translate button at the bottom so you can translate each page. Team Colombia Coldeportes, the Colombian (but Italy-based) professional Bianchi-riding team led by General Manager Claudio Corti, began a one week training camp on January 27th in the Trentino region. 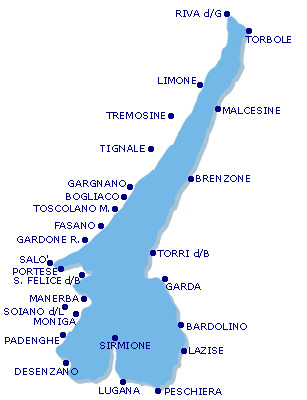 Their base is in Torbole sul Garda, at the northern end of Lake Garda. Today, they rode the Punto Veleno climb which will be in the 2012 Giro del Trentino, being held April 17th-20th; Punto Veleno will be on stage 3 on April 19th. It will be the first time a professional race features the Punta Veleno (Poison Point), rated one of the toughest climbs in Europe. It was first considered for inclusion in a stage for the Giro d'Italia in 1972 by Vincenzo Torriani, director of the Giro d'Italia from 1949 to 1989, but after visiting it he decided it was too hard. 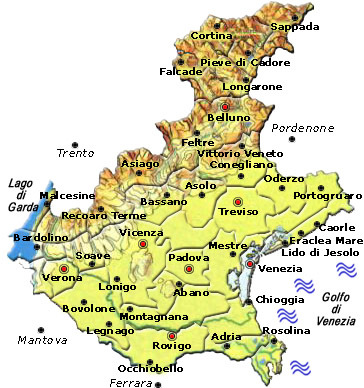 The 8 km climb begins near Lake Garda in Castello di Brenzone, between Bardolino and Malcesine. Steep sections can be from 15% to 18%, and even more than 20%. See video here we published earlier; Eros Poli recounted his experience here. The riders could not ride all the way to the top today as the summit was blocked by snow. Gibo Simoni, who accompanied the Colombians, said, "I didn't know this climb, I did it for the first time today. I was really impressed with it. I am sure that here at the Giro del Trentino we will see a beautiful stage, and that one day soon the we could see it in the Giro d'Italia." Tutte Le Maglie Rosa, dal 1931 ad oggi: All the Pink Jerseys, from 1931 to today. This is the project begun by Fiorenzo Magni to collect a pink jersey from every Giro d'Italia since 1931 for the Museo del Ghisallo . Why 1931? The pink jersey was introduced that year as the race leader's jersey and the first to wear it was Learco Guerra. 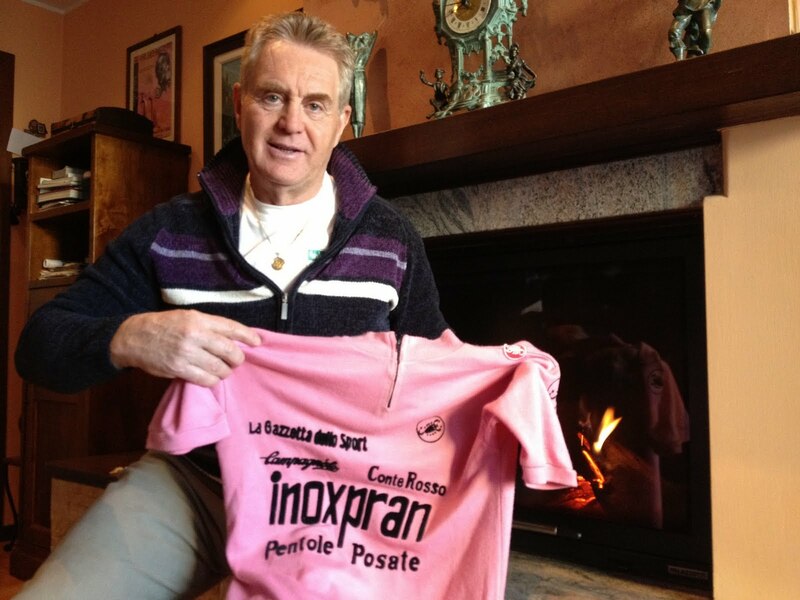 The latest pink jersey to be donated is that of Giovanni Battaglin who won the 1981 Giro d'Italia. Battaglin is only one of three riders that have won the Giro d'Italia and the Vuelta in the same year, joining Eddy Merckx and Alberto Contador in that achievement. Keep in mind that back in 1981 the Vuelta preceeded the Giro d'Italia and the Giro started only 3 days after the Vuelta finished. The jersey was contributed by Loriano Gragnoli (below), founder and president of the Ivan Basso Fan Club. He had obtained the jersey from his friend Alfredo Chinetti. Twenty-seven jerseys have now been collected for the museum. Pavarotti's " Nessun Dorma" vs. Mortensen's "Beautiful Italy"
Perhaps the correct title should be "How Much Has Changed from the 1980s to 2012"? The first appointment for the team on the racing calendar is the Ladies Tour of Qatar, 1 to 3 February. 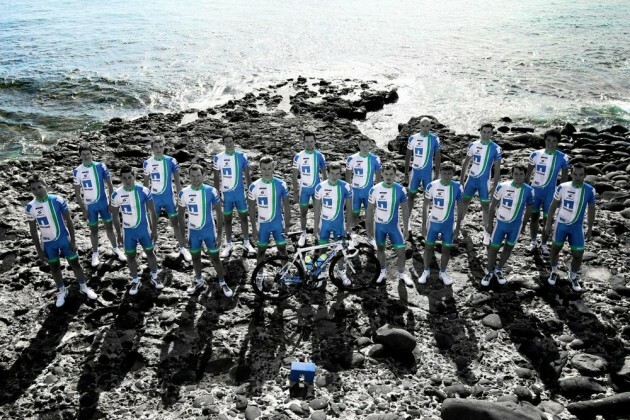 Giro d'Italia 2012 Music Video "Beautiful Italy"
Ironic: Stefano Garzelli is in the video but his team wasn't selected. 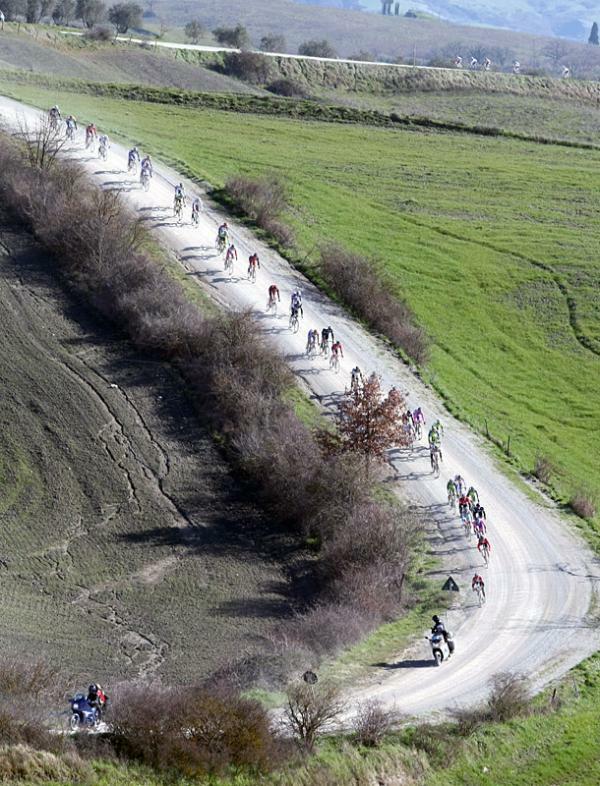 Fourteen teams have been invited to the 2012 Strade Bianche professional race on March 3rd. The start is in Gaiole in Chianti and the finish is in Piazza del Campo in Siena. Use the search feature on right margin with "strade bianche" to find past stories and photos. 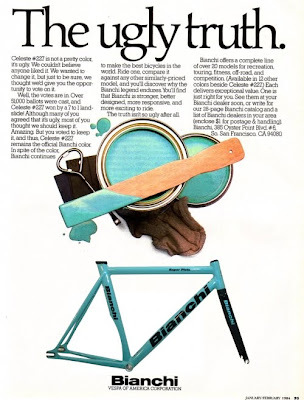 If you read the comments in yesterday's entry about the origins of Bianchi celeste you would have discovered that the "Ugly Truth" Bianchi ad was a spoof by prollyisnotprobably. 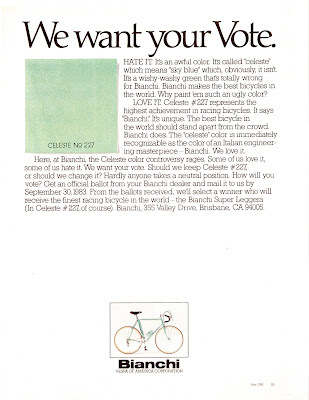 Today, Rory, who writes an excellent blog, posted a scan (above) of the original Bianchi ad from 1984 in which Bianchi asked if they should keep celeste, color #227, or change it. 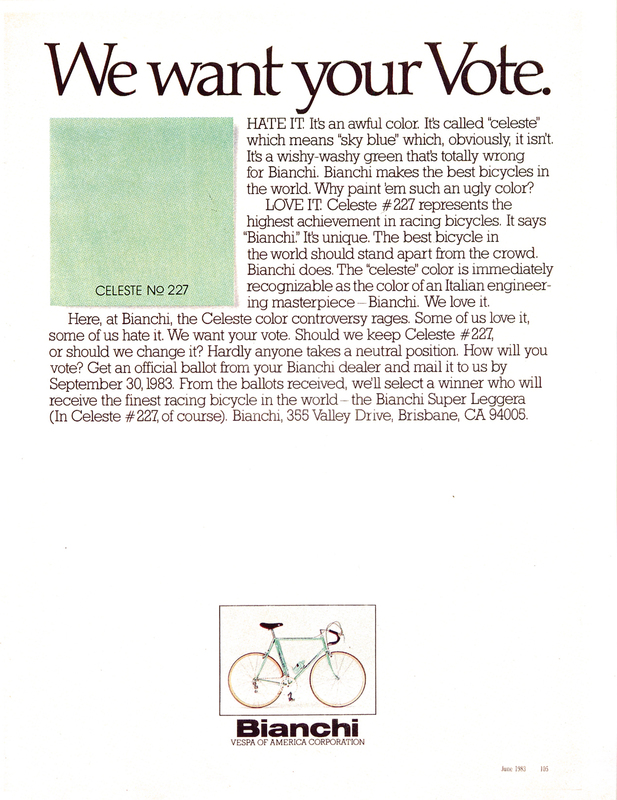 Rory also provides another version of the origin of celeste and a few a couple of more Bianchi ad scans. "This Bianchi celeste green has many stories behind it. 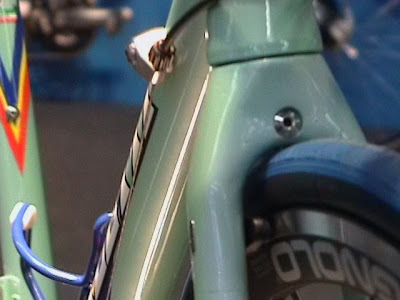 One tale spins it as the turquoise color of the Milan's sky, another suggest that it was the eye color of the former queen of Italy for whom Edoardo made a bicycle. The latter story is likely pure myth as there was never a queen Tiffany of Italy—and neither Queen Margherita of Savoy (for whom the actual Margherita pizza is in fact named) nor her daughter-in-law Elena of Montenegro had turquoise eyes. The truth is less inspiring, but no less interesting. The most likely origin of the paint is that it was a mixture of surplus military paint from the First World War, it was cut with white in order to tone down its martial nature. 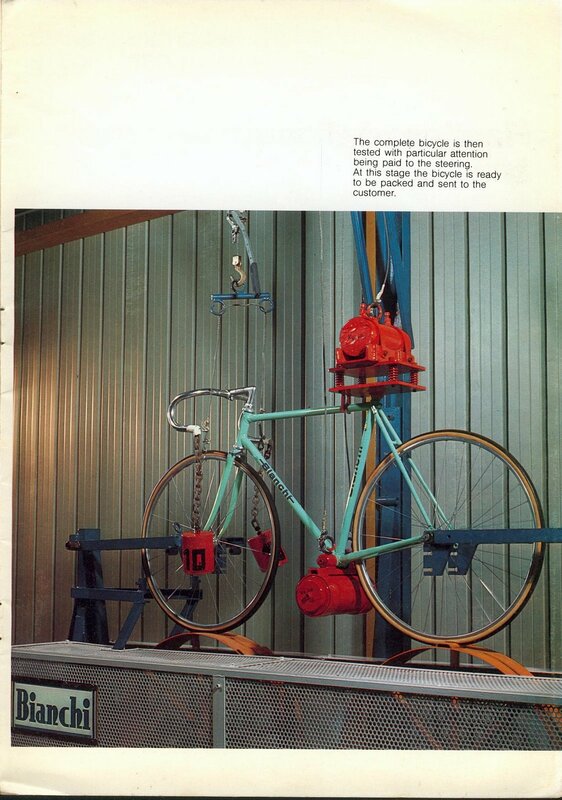 Regardless, this color continues to evoke the tradition that is Bianchi, and in that is quite inspiring for riders of the famous bicycles." 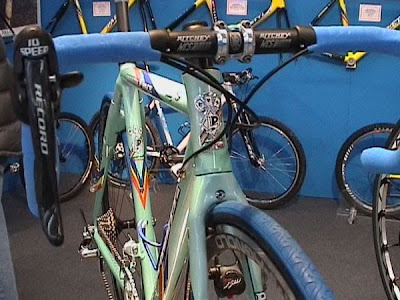 Bianchi Movie from Bianchi on Vimeo. 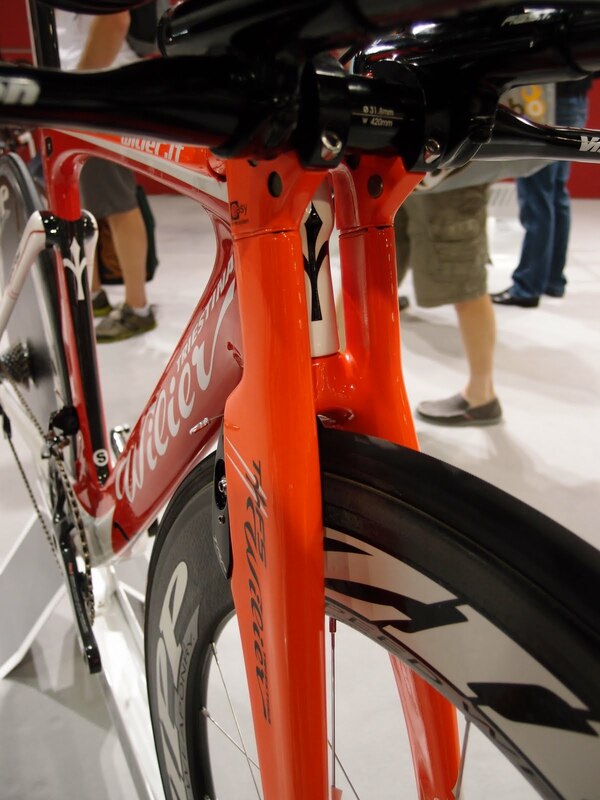 "The rapidly growing number of frame copycats was a much discussed topic at last December’s Taichung Bike Week. In particular carbon frame makers are faced with more and more patent infringements and outright copies. To fight such unlawful competition the European Union published a report on the existing legal protection in the EU member states against “parasitic copying”. One of the aims of this study, conducted by Hogan Lovells International LLP, was to identify whether the current protection available to brand owners to prevent parasitic copying is sufficient to ensure free and effective competition. According to this study the differences in the legal regimes between EU member states allow parasitic copying to flourish in some countries better than others where it is more controlled. Such legal differences exist despite the harmonization of the registered trade marks and industrial designs since the establishment of the EU internal market in 1993. Even though the protection available in all member states should be identical in respect of trade mark law the approaches to deal with common problems differ across the EU. The reasons why they differ may depend on how such an issue was historically dealt with in each country but also on how EU law has been interpreted. As a result of the legal diversity the rights of trade mark holders are inconsistent and lead to different results in different Member States. The study, published mid January, provides the basis for a new reflection on the adequacy of the current legal framework throughout the European Union. The study recommends that any parasitic copying legislation should include a clear and precise indication of its aims and objectives to make it entirely clear to a member state when the approach it had previously adopted is insufficient and/or inapplicable. Next to that specialist courts should be the only judicial arena in which claims relating to parasitic copying claims are heard." Women's cyclocross racing in round 4 of the 2011 UCI World Cup in Namur, Belgium. Won by World Champion Marianne Vos with glimpses of the Italians in this muddy race. The highest placed Italian was Eva Lechner in 6th. Also racing for Italy were Vania Rossi (Riccardo Rossi's partner) and Alice Maria Alzuffi. A "Bravo!" to "Petitesreines" for his video and editing skills. Don't forget to turn up the volume. 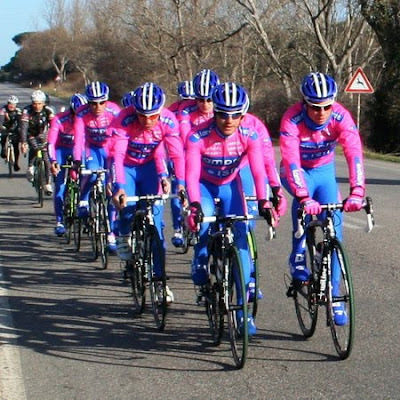 Fourteen Lampre-ISD riders (Cunego, Scarponi, Bertagnolli, Ulissi, Stortoni, Niemiec, Bono, Possoni, Pietropolli, Marzano, Buts, Mori, Spezialetti and Righi) that have been training in San Vincenzo (Livorno), staying at the Residence Riva degli Etruschi, concluded a seven day training camp yesterday. The training was split into two groups: one group, which includes Scarponi and Ulissi train with long rides (up to 175 km/6 hours); the second group, with Cunego, focus on intensity. Both groups have also been working on strengthening their climbing. Michele Scarponi is focusing his training on preparing for Tirreno-Adriatico and the Ardenne Classics. 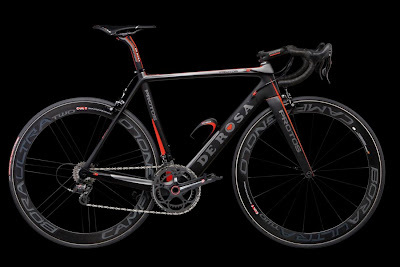 He hasn't yet decided if he will race the Giro d'Italia or Tour de France saying, "The choice is still open. I'm training in order to prepare for only one of these two appointments, my friend and champion Contador recently asserted that is very difficult to be competitive in both races." 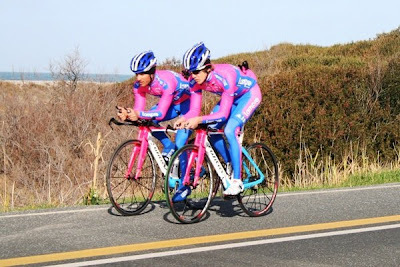 The team's first competition in Italy will be the Giro della Provincia di Reggio Calabria, February 11 and 12. Thanks to Marco Mori for his video of the 2011 L'Eroica in which he participated with friends from Sheffield, England. 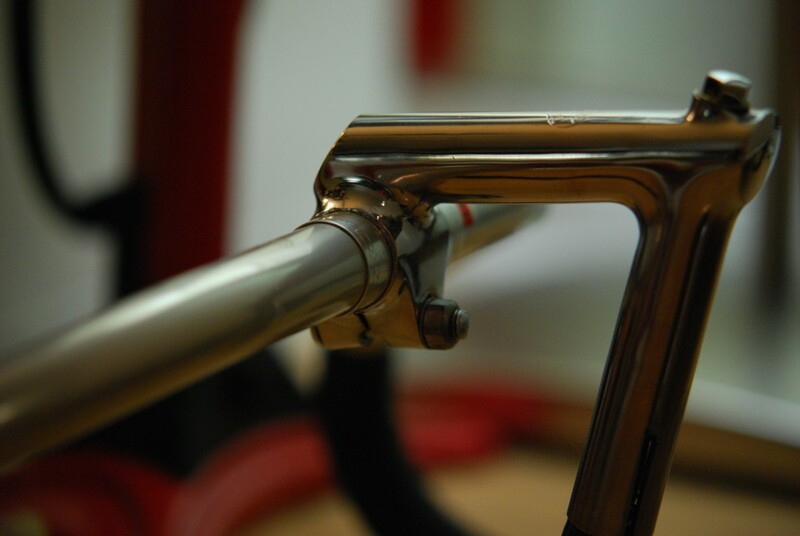 After a career in the travel industry he decided to start his own cycling tour operation, GustoCycling, in 2009. 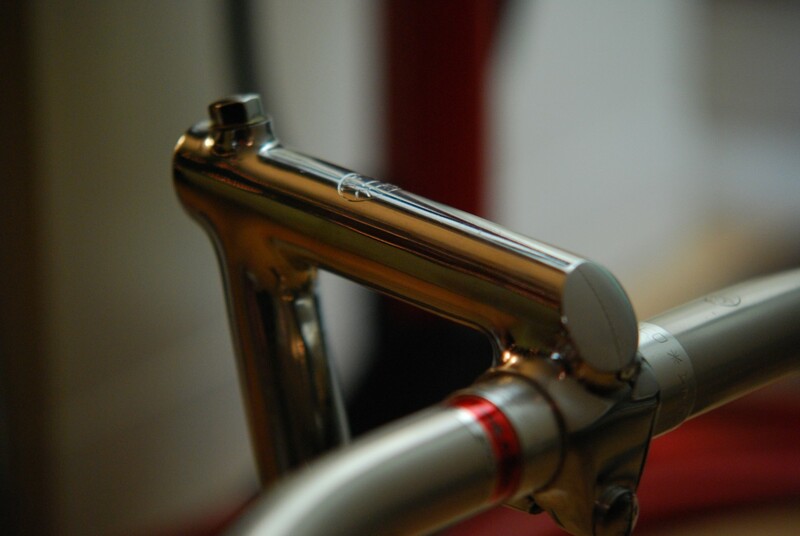 Marco had previously written in with his story of "In Search of a L'Eroica Bike". Registration for the 2012 L'Eroica opens March 1st, read more here. GustoCycling L'Eroica offering for this year here. 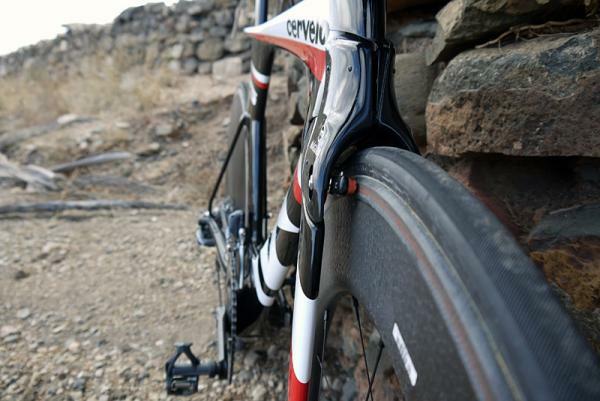 There has been lots of buzz about Cervélo's new P5 time trial bike. 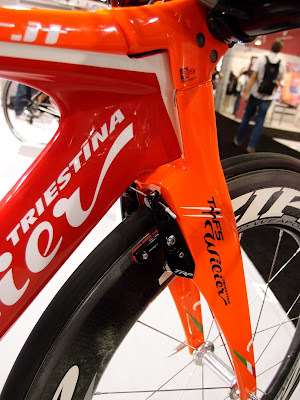 Much of the buzz is about the hydraulic brakes and how brake caliper is integrated inside an aerodynamic shroud (on the tri-specific version of its new P5). Paletti also had a rear brake shroud but it was not nearly as elegant as the front brake implementation, see here. Expect to see the new Cervélo P5 in the Tour de France under the Garmin-Barracuda team. 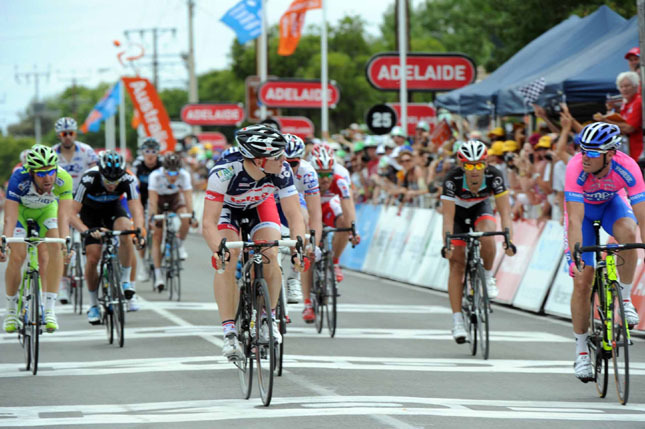 First Tour Victory for Campagnolo "EPS"
Although there have been tour victories before with Campagnolo electronic shifting the first victory with the production version, EPS (Electronic Power Shift), came this week on the first stage of the Tour Down Under. Andre Greipel, rider for the Lotto-Belisol team, was able able to win the final sprint ahead of Alessandro Petacchi (Lampre-ISD); Petacchi was also using EPS. 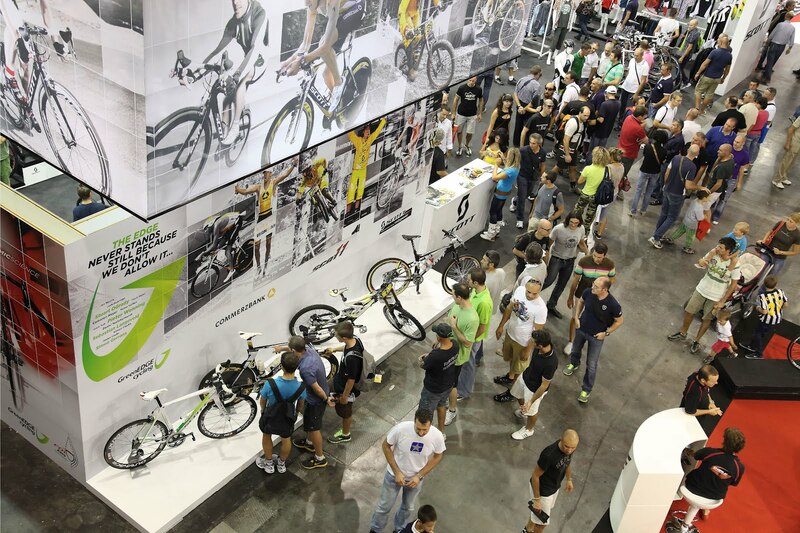 Last year confirmed that ExpoBici had become "the" fair of the cycling industry in Italy: 42,000 visitors represented a 20% growth over the previous year and a 120% growth since the first edition just four years ago. 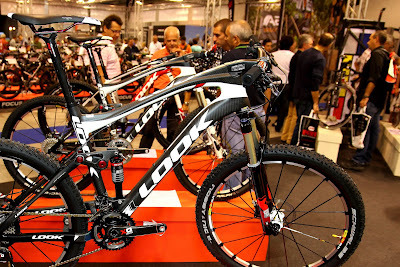 The number of exhibitors have tripled since 2008, now numbering 500 between companies and brands; the exhibit space has tripled form 10,000 to 30,000 square meters and the outdoor demo space has increased to 7,000 square meters. The "International Bicycle Exhibition" (or Esposizione Internazionale Ciclo e Accessori) as it is officially known, held in Milano for seemingly forever, will be moving to Verona at the Veronafiere grounds for at least for this year. The dates are September 15th to the 17th. The EICA (formerly EICMA) has said it has been working since 2010 on a new vision for the show. The following have already committed to participating: Atala, Bianchi, Carrera-Podium, Campagnolo, Campagnolo Sportswear, Carraro, Cicli Montante, Cinelli, Colnago, Deda Elementi, Dedacciai, De Rosa, F.lli Masciaghi, Focus Italia, FSA, Fulcrum Wheels, Giant Italia, Gruppo, Limar, Kuota, Mic-Shimano, Mario Schiano, Montana, Nalini, Olmo, Santini Maglificio Sportivo, Selle San Marco, Selle Smp, Scott Italia, Specialized Italia, Trek Italy, and Wilier Triestina. 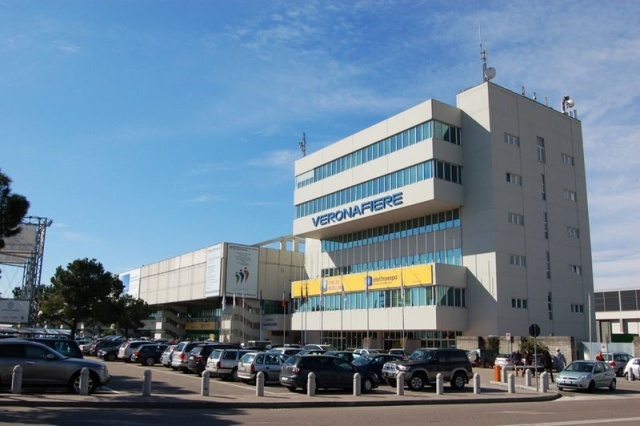 Plans are to allow road bike test rides directly from the exhibition grounds to a loop on the "Torricelle", a hill that overlooks Verona; the hill road was used in the 1999 and 2004 World Championships. 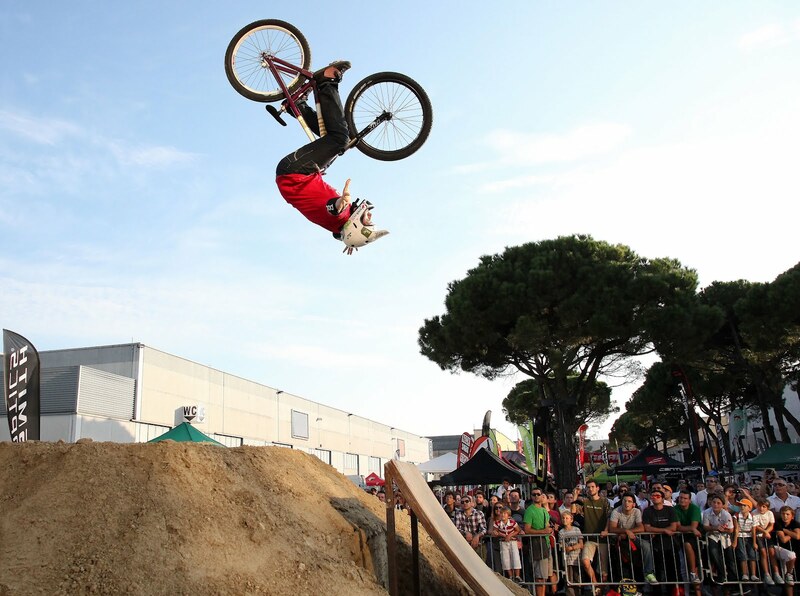 There will also be a mtb demo area at the Torricelle. 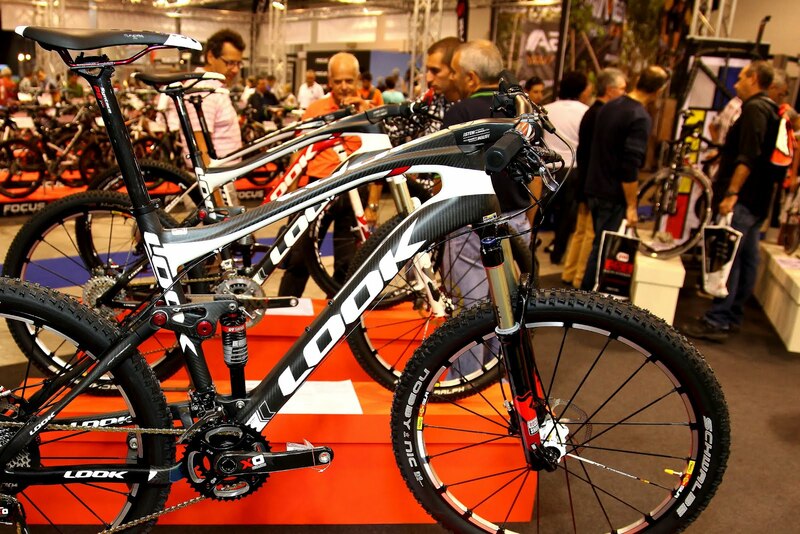 The Milan Exhibition has seen much greater competition from the new expo-kid on the block: the BiciExpo in Padova. I think the EICA was finally compelled to do something new to respond to the growth of BiciExpo. 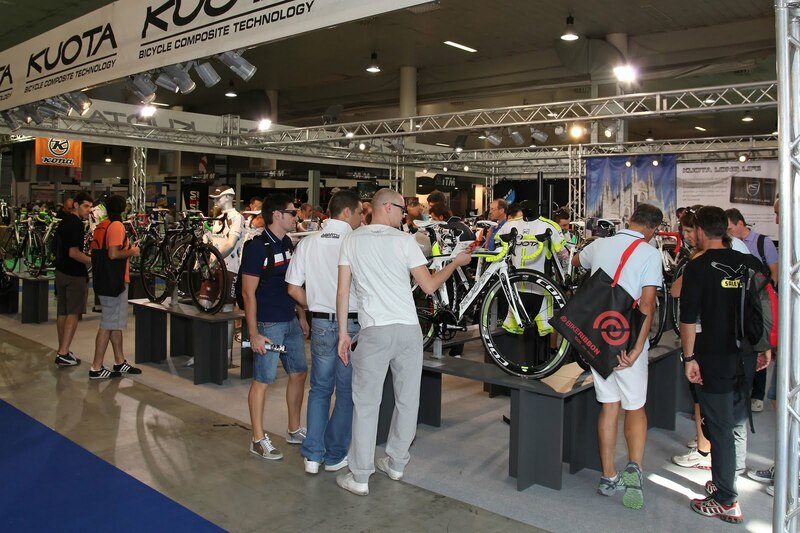 BiciExpo is projecting to have 500 exhibitors this year at their show the weekend following Verona, from September 22nd to 24th. If you like bike shows it might be a good time to visit the Veneto region for the shows and some riding. 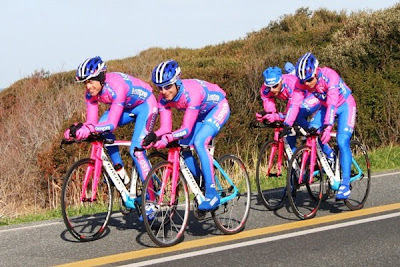 Interesting, perhaps troubling, comments as they relate to German team NetApp being selected as the last wild card team for the 2012 Giro d'Italia, made by race director Mauro Vegni (see Michele Acquarone, Managing Director at RCS Sports, comments here). "For some years now the Giro d'Italia has been aiming to be an international product: we need the Giro to be loved not only in Italy but also in the rest of the world. If we go somewhere in Europe, for example, the Giro d'Italia means little or nothing. This year the wild cards protected the Italian heritage from the point of view of the presence of Androni-CIPI, who had won the Italian Championship last year, Farnese-Selle Italia and Colnago CSF. The selection of the fourth team was based upon a criteria related to marketing areas that are important to us, such as Germany. There was anger about the exclusion of Acqua&Sapone: from a purely technical point of of view the team is more capable than NetApp but in terms of the German market that NetApp opens to us we decided to invite NetApp. 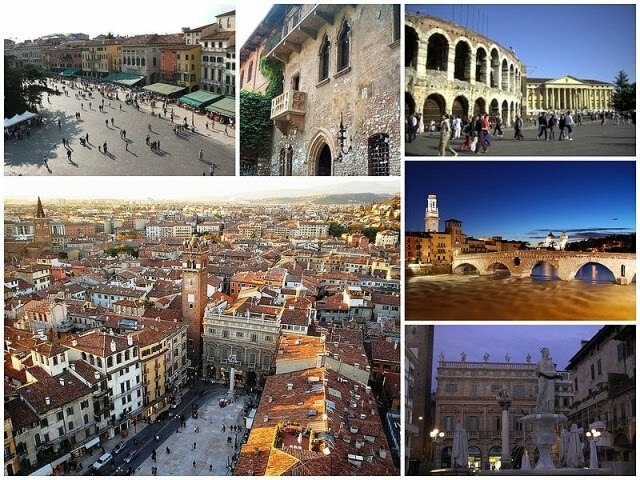 We received fourteen requests for invitations to the Giro. There were other teams that from a sporting point of view deserved to be selected more than NetApp but we wanted to select a team not only from a sporting view but also one that followed our marketing logic to make the Giro more international." Thanks to JJ for contributing this story of his ride yesterday, January 15th, from Siena to Grosseto. "Today I took a ride to the sea with Riccardo. The plan was very simple - meet in Siena with our bikes, take a gentle stroll downhill from Siena to Grosseto. Siena being about 300 m above sea level and Grosseto on the coast it should be a gentle downhill trot for about 60 miles, taking in the old Siena-Grosseto road. There is a new Siena-Grosseto road which is a superstrada (motorway) but the old road was built many moons ago, well I think somewhere around 30 years ago and in some places is excellent. In other places it is terrible and single carriageway, there are places where work carries on slowly and my Riccardo tells me that this work seems to have been going on for 25 years or so with great promises that one day all will be dualed. However, after taking in this old road I now appreciate the benefit of this road, also for some of it you can see the Siena-Grosseto superstrada from below, pinned up in the air some 200 metres up and now I see the majesty of it. It certainly started very well, we met at 09:00 with the sun shining, despite plenty of frost on the ground and temperatures around freezing.Overnight I had changed my wheels. My Scott Addict SL, full carbon with Dura Ace and carbon Mavic SSC wheels was starting to feel really unstable in the wet/cold. I changed the front wheel for a Shimano RS-10, changed tyres on both the front and the back, and instantly the bike feels much much more stable. Go figure - I changed a pair of 800 GBP wheels for a pair of 80 GBP wheels and instantly they feel better - I think I need some work and testing on my set up! It certainly started very well, we met at 09:00 with the sun shining, despite plenty of frost on the ground and temperatures around freezing. Overnight I had changed my wheels. My Scott Addict SL, full carbon with Dura Ace and carbon Mavic SSC wheels was starting to feel really unstable in the wet/cold. I changed the front wheel for a Shimano RS-10, changed tyres on both the front and the back, and instantly the bike feels much much more stable. Go figure - I changed a pair of 800 GBP wheels for a pair of 80 GBP wheels and instantly they feel better - I think I need some work and testing on my set up! So, with new tyres and front wheel, plus ice and road water (guazze!) I was taking it slowly. The route started well, taking in some beautiful countryside over towards Casciano di Murlo and where I took my massive spill on my second trip on my Scott. Further down the road we found some trees that had been stripped for cork - presumably the cork oak. Apparently they strip the bark off the trees and process it. You can see the trees with the brown bits showing above. Apparently it doesn't damage the trees and grows back quickly. I had never seen it before. Corks here in Italy are almost exactly the reverse of the UK. In the UK, the better wines have swapped to either plastic corks or screw caps, and the only ones that you find with "real" cork seem to be the cheaper wines. Apparently, there is a high risk of tainting or spoiling from cork, and this is much reduced with screw caps or plastics. I guess this is an example of not increasing the mean, but reducing the standard deviation. Here in Italy, the reverse is still true. All decent wines have cork and the only ones that have screw caps or plastic corks are the very cheapest available. 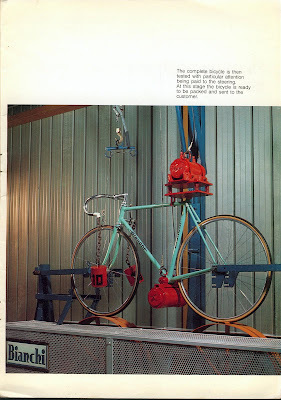 I guess this is reflective of both the traditional methods that are preferred by the Italians and the trend. I know full well that expensive Italian wines in the UK can be supplied with plastic corks, so maybe it is just a trend and that the importer or purchaser can define to the vinery which material can be used. Further on we stumbled across Bagni di Petriolo. I had heard about it many times, there is a big hotel spa which I have absolutely no interest in, but I had heard that there were places where you can just sit in the river and enjoy it. We had looked for it when we were on the superstrada to Grosseto but never succeeded, and here it is - on the old Grosseto road. As we were approaching we starting to smell the familiar egginess and then it really hit us. Of course we had to get off and have a look. So, I'm very happy to have found this - and only 23 miles from Siena too. I prefer them at this time of year. Last year I was in one in January for a management course and it was excellent - swimming and paddling with a view of the snow on Mont Amiata. Plus about 10 years ago I was in one of the famous ones in Budapest (where Bobby Fisher used to play chess) in February, and it was great to be there outside in the warmth with snow falling on your face! Climbing out of Bagni di Petriolo we hit some brutal climbs, and we hit them hard! The signs were saying 20% climb, and we hoped it would be 500 m or so, but it carried on and on for about 5 km before calming down a little. It was icy too, and a little wet so it was tough. Really tough. I would say that these were the toughest climbs that I have ever ridden and that includes the full L'Eroica and Mount Etna. My Italian swearing was coming to the fore! I think I learned something along the route too. When you bomb in the UK we normally say "I'm toast" and during these tough climbs Riccardo told me that the Italians say "dura" or "toste" - so now I am wondering if "toast" comes from "toste" - I shall claim that it does, even if it doesn't! We carried on as the road slowing winds it's way towards Grosseto, after a while it runs parallel to the main road, but still climbs and descends hard. Finally we arrived into Grosetto feeling pretty pooped, with a very poor average pace. We wanted to sit by the sea, enjoy some spaghetti with sea food, and get on the train back. Then we found out that Grosseto requires a further 10 km to get to the sea, which we just could not face. Then we sauntered over to the train station only to find that there are limited trains on Sundays, so had a 2 hour wait till the next train. Bugger. We cycled around Grosseto trying to find somewhere nice to eat. But this was 3 pm on a Sunday afternoon and everywhere was shut. I still find it hard to believe that restaurants in Italy close when there are paying customers desperate to eat. Again it is the yin and yang of Italian life that has good and bad points - it can be hard to get things, but then you do not get battered by the relentless commercialism of other places. Yin and yang - there's a balance in there somewhere. 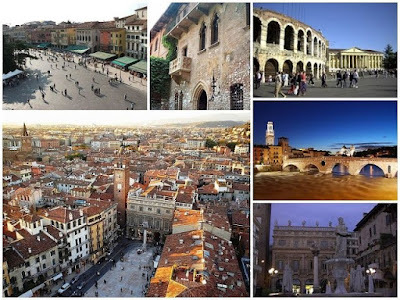 When I have been to Grosseto before I have been going there on the way back from the coast or from the Maremma national parks. We have never stopped long as we cannot find anything nice there, it is quite spectacularly ugly compared to other major Tuscan cities. We found a nice small cathedral and only one cafe that was open, and that was not serving any hot food, except for sandwiches. Anyway, we polished off some toasted (!! I was toast/toste) sandwiches, a hot chocolate and a great pasta for dolcino - almost a creamy choux pastry - happy creamy choux days. Eventually we got on the train, which pretty much went back the same route we came in on. And it was slow, took over 90 minutes to do the 56 miles we had done. And we had a small run in with the ticket inspector as apparently the kiosk woman in Grosseto had sold us the wrong bike tickets - in Italy you have to buy a bike ticket to take the bike on a train, and then stay in the bike wagon. We had some that were €1.20 but they should have been €3.80 - and we were not in the bike wagon - maybe he was having a bad day? Anyhow, a great day's riding, but next day we will plan better for the trains, less hills, and look for somewhere a little more populous so that we can eat properly when we arrive - the trip we did on the old road from Florence to Bologna was amazing.